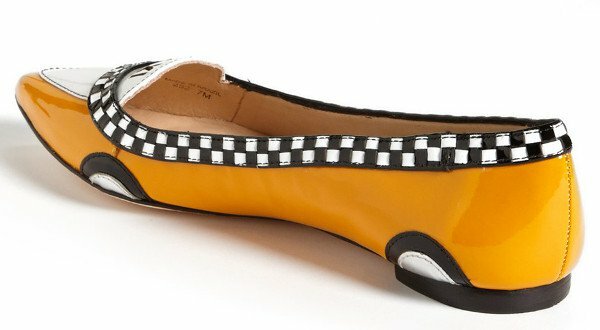 Quirky Finds: Will You Grab These Taxi Cab Pumps by Kate Spade? New York City taxi cabs have become an icon of the Big Apple. Their distinct yellow paint and checkerboard print are a recognizable image not only for citizens of NYC but also for the rest of the world. And while we would definitely ride an NYC cab or eat pizza named after it, would we also wear it? Kate Spade seems to think so. 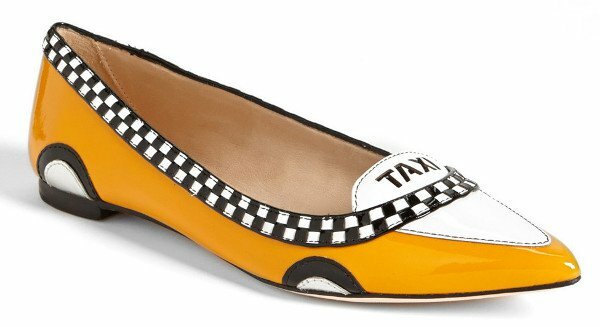 The “Le Taxi” pumps of Kate Spade New York highlight the NYC taxi cab as high-heeled shoes for everyday wear. They feature yellow patent leather lined with a checkerboard strip up to the slingback. The heels are glamorous at 4 1/2 inches high, and the “TAXI” lamp head is situated at the vamp. And, no, it doesn’t light up. Kate Spade New York also made a version in trendy pointy-toe flats. Four circles on the sides show a spot for the wheels. This quirky skimmer and its version in pumps are definitely statement pieces, but are you willing to spend for the quirky over more classic and versatile styles?